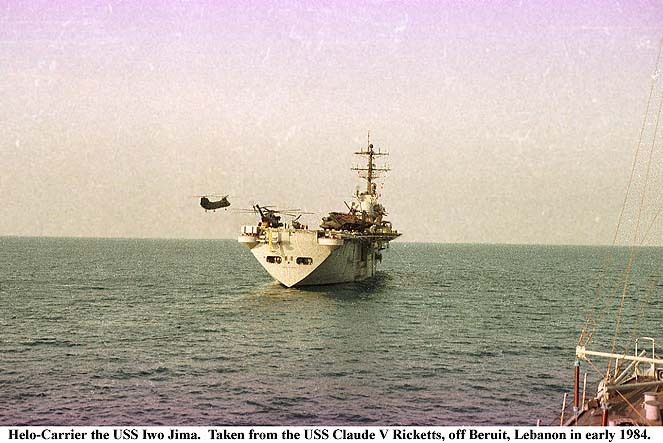 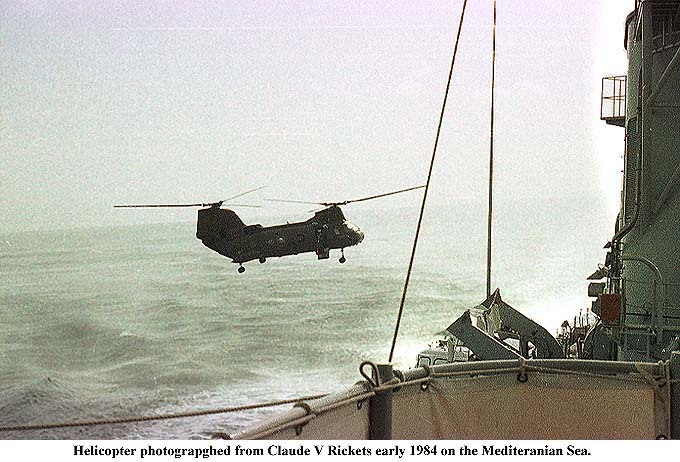 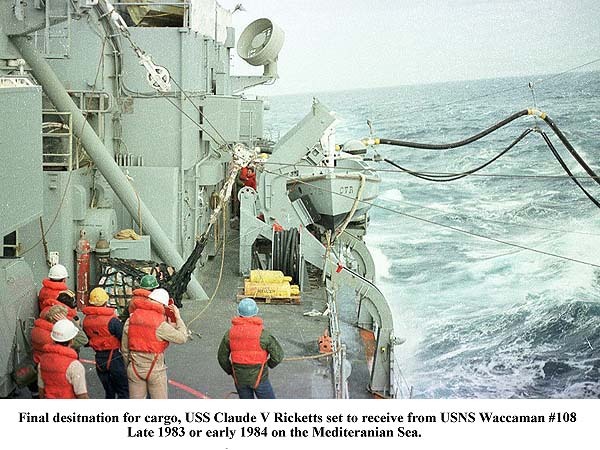 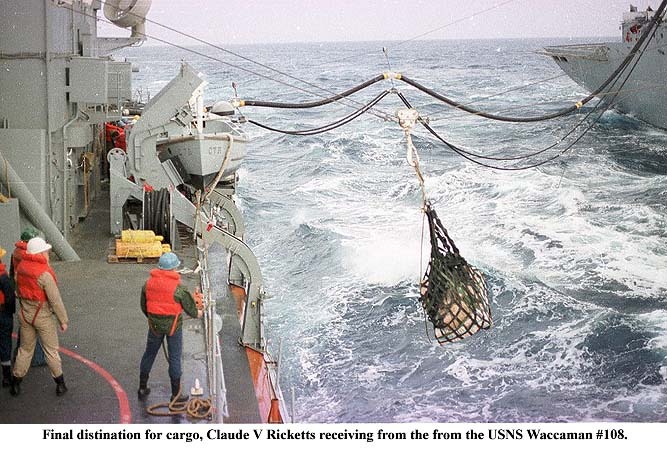 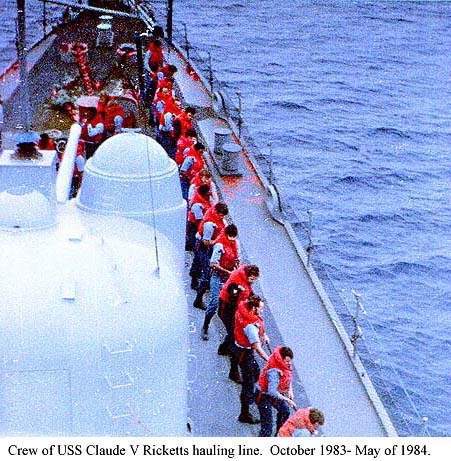 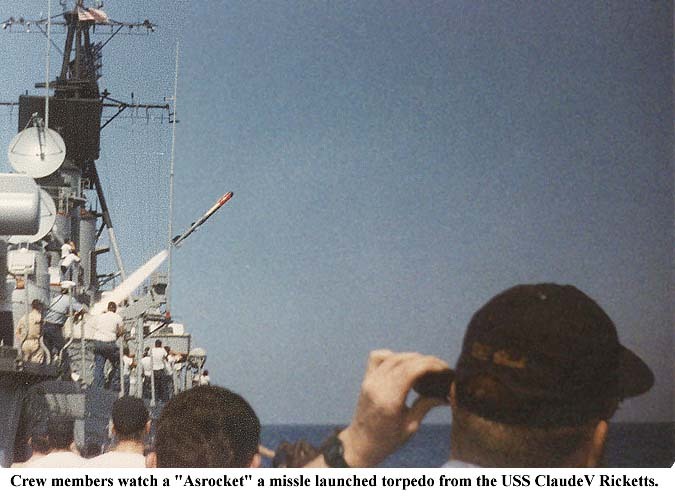 Mike served on board the USS Claude V Ricketts during its October 1983 to May 1984 tour. 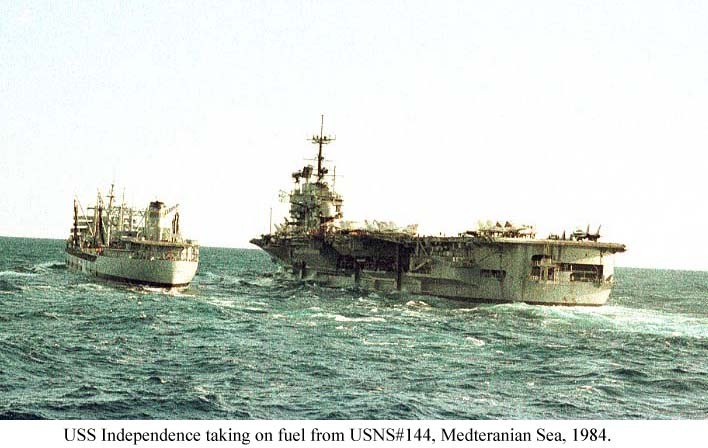 Five days after leaving Norfolk, Virginia and joining the aircraft carrier the USS Independence in the Atlantic Ocean, the Marines barracks in Beirut, Lebanon was bombed. 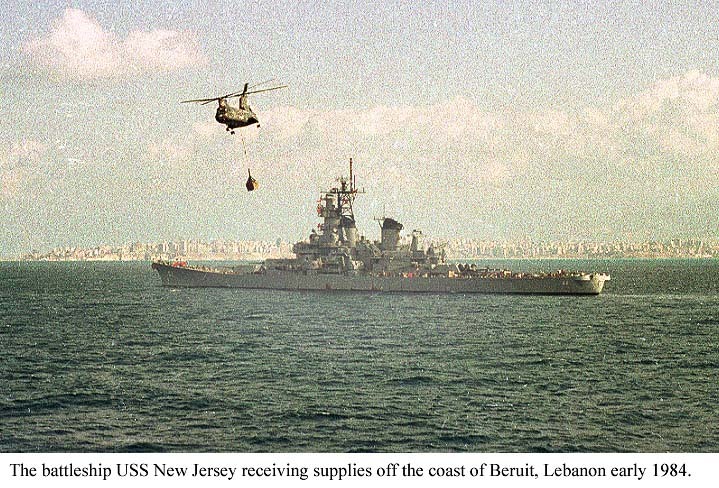 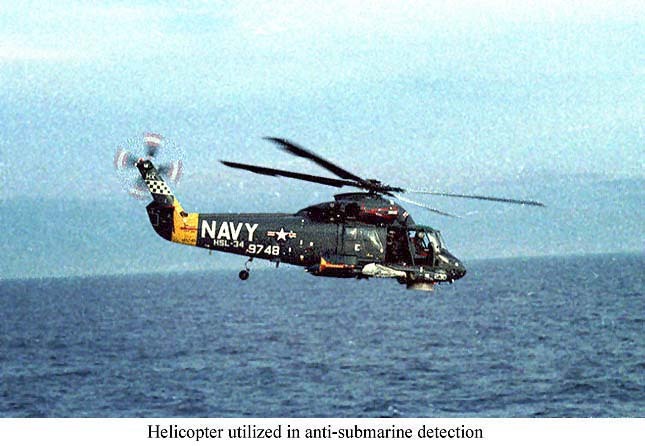 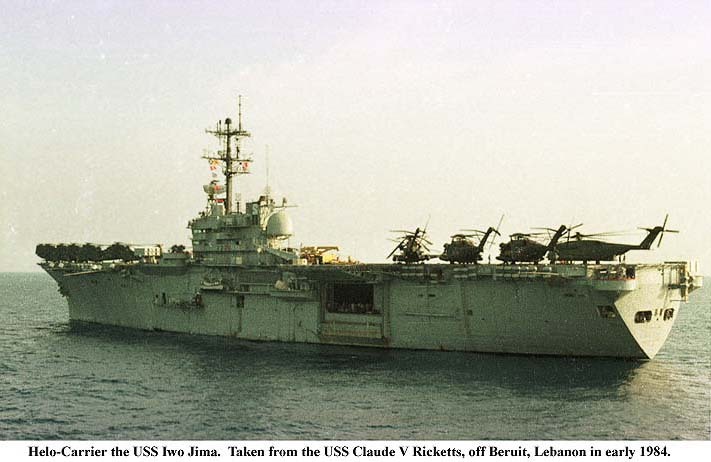 Two weeks later 2 miles off the Lebanon coast the US Navy took up positions to provide naval gun fire and F-14 "Tomcat" aircraft support for the land based Marines. 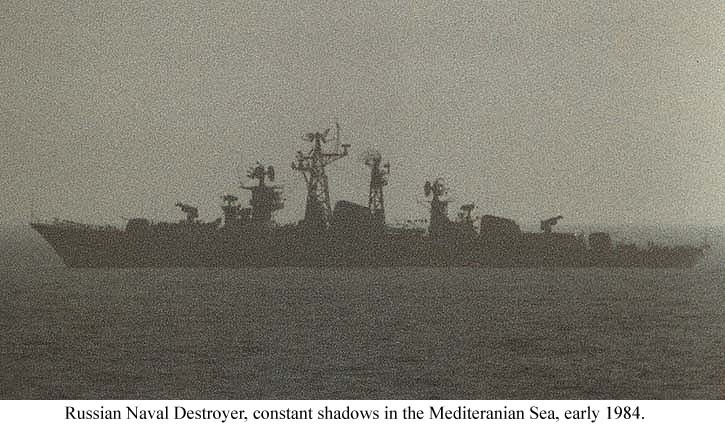 The CVR was called upon to use her 5"cannons and was fired upon more than once. 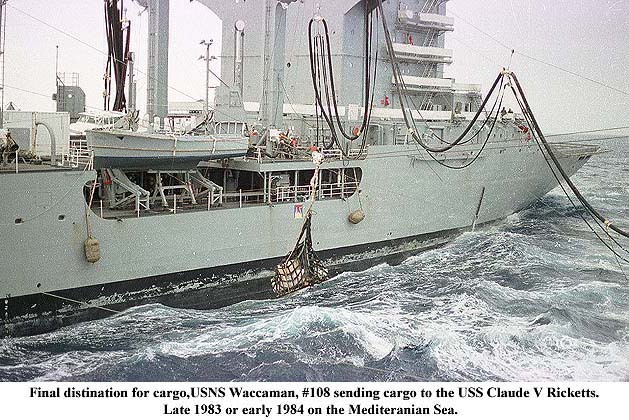 His photos also reflect the logistics of the day to day operations of being a floating base on the high seas.